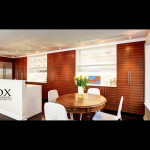 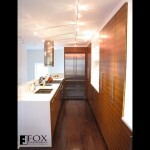 These zebrawood tall cabinets provide voluminous storage for this galley kitchen in Center City Philadelphia. 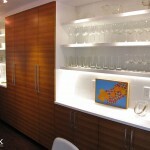 In addition, to the cabinet storage, the open, solid wood, painted white shelves provide a wonderful place for displaying fine glass or dining ware, art, photos, etc. 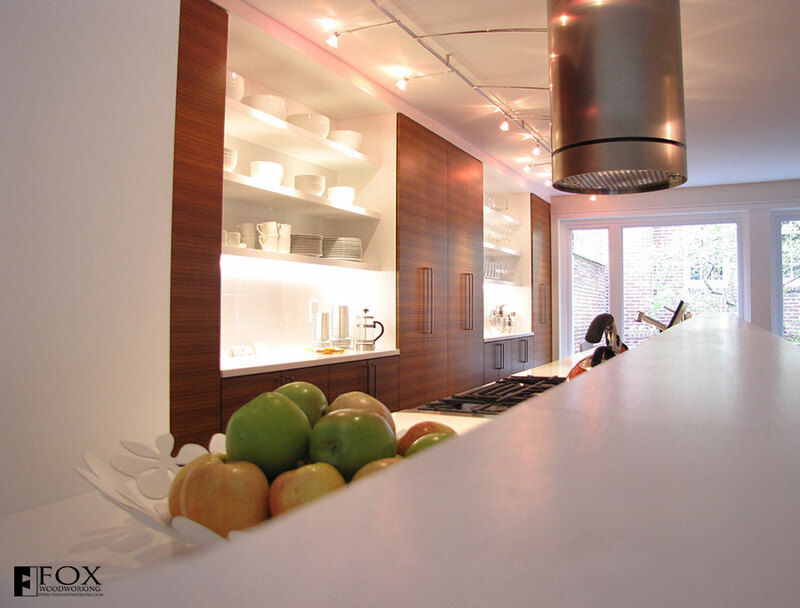 The narrow bar shelf separates the kitchen from the dining area while allowing the space to remain open so that diners and chefs can easily converse.